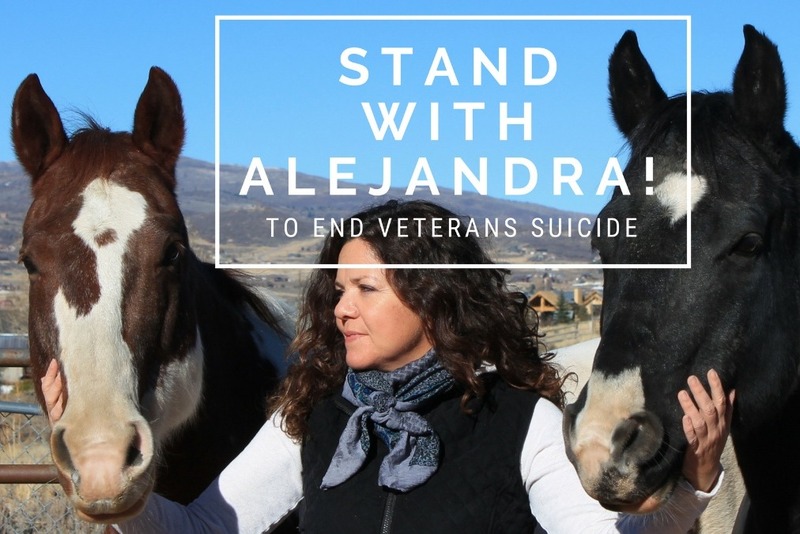 Fundraiser by Alejandra Lara : Stand with Alejandra! I need you to support my participation there in October. As an equine specialist, one of my jobs is to help establish the partnership between horse and human. In doing this, I am honored to witness healing moments again and again. A young warrior who had been seriously injured by an IED in Afghanistan and had to have multiple reconstructive surgeries came to TRR's Warrior Camp® grieving because he was no longer the man he had been before his injuries. He was supportive and encouraging to his comrades, but was reluctant to allow himself to enter into his own healing process. In order to continue to volunteer in this, my fifth TRR's Warrior Camp® program, I need financial support so I can take care of my obligations at home while I volunteer my time to serve those who served our Nation. Watch this moving video from our last TRR's Warrior Camp® and get to know who you will be helping by donating now. To Stand with me in saving a veteran's life by helping me get the word out by sharing my link to your Facebook Timeline! In the name of the warriors and me thank you!